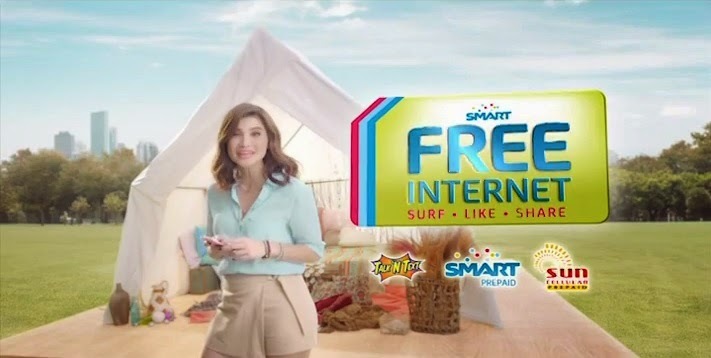 Have you seen Smart’s latest TVC regarding free internet access promo? If not then the reason why you’re reading this post is to know how to get free internet access. Using your Smart (also available in TNT and Sun Cellular) prepaid SIM, you can now enjoy free browsing on your internet capable phone (Android, iPhone iOS, etc.). There is no trick on using this; as long as you’re a SMART prepaid subscriber then you are entitled to avail this promotion. Yes it’s free, you’ll get 30MB free data when you’re and active Smart prepaid subscriber. Give thanks to this network for letting us use free internet without extra cost. Even if it’s only 30MB, still it’s very useful if you use it wisely. Sending emails, reading news and research it the best way to allocate 30MB free data. How to use Smart FREE data? Note: Please maintain P1 balance for you to enjoy this promo. Internet speed on this promo may vary depending on the signal quality and connection type you get on your location. This promo runs until November 30, 2014. Use Smart default internet APN for this. In case you’re GPRS is not yet activated you can use the SIM menu or you may refer to our previous post on How To Activate Smart GRPS/3G settings. If you reached the data cap limit and you want to do more, you can registered to their Unlisurf Promo or if you’re area is already covered by LTE network of Smart then try their prepaid Unlimited LTE Promo (available in 1 day, 7 days and 1 month). For more details you can visit their website. Promo extended 'til February 5, 2015.